You can contact us for: written (non-sworn) translations of Dutch, English and German into Spanish and viceversa, to be thought of eg. Buy – or rental agreements, quotes, websites, etc. 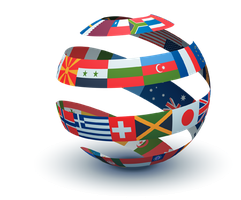 Independent translation at the notary and if desired we can also handle everything. Interpreter services when visiting the doctor, the hospital, Civil Guard, court, town hall, etc. Comprehensive Service for all common administrative matters, such as e.g. Your application for the NIE number and/or Residencia, the Seguridad Social, the transfer of the utility contracts and municipal taxes, the conversion and/or renewal of your driver's license, the conversion of your registration certificate, etc.